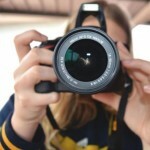 Learn more about photography and have fun doing it with a 4-H Photography Project! Learn camera skills and terminology such as aperture, depth of field, and composition. And take some fun pictures too!